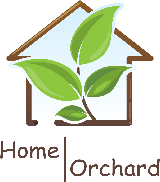 The fees for your place at Home Orchard will be negotiated by your Funding Provider with the Home Orchard Management Team. If you are funded by a Local Authority, You may be required to make a service user contribution towards these fees, the level of this contribution will be set by your funder. Access to a range of activities (some activities carry an additional fee e.g. cinema, outings etc). All meals. Participation in planning, preparation and serving meals will be encouraged. Support to do laundry and maintain personal and communal areas. Transport will be available to enable you to pursue outside interests. Agreed staff support ratio to meet your needs.